The Farmers’ Almanac that hits newsstands Monday predicts a winter storm will hit the Northeast around the time the Super Bowl is played at MetLife Stadium in the Meadowlands in New Jersey. The 197-year-old publication also predicts a colder-than-normal winter for two-thirds of the country and heavy snowfall in the Midwest, Great Lakes and New England. “We’re using a very strong four-letter word to describe this winter, which is C-O-L-D. It’s going to be very cold,” said Sondra Duncan, managing editor. Modern scientists don’t put much stock in sunspots or tidal action, but the almanac says its forecasts used by readers to plan weddings and plant gardens are correct about 80% of the time. Readers who put stock in the almanac’s forecasts may do well to stock up on long johns, especially if they’re lucky enough to get tickets to the Super Bowl on Feb. 2. The first Super Bowl held outdoors in a cold-weather environment could be both super cold and super messy, with a big storm due February 1 to 3, the almanac says. 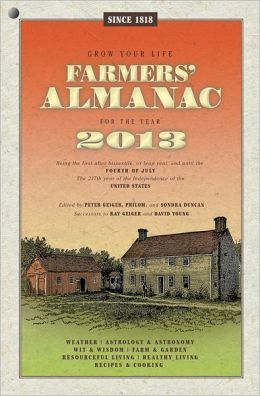 The Maine-based Farmers’ Almanac, not to be confused with the New Hampshire-based Old Farmer’s Almanac, which will be published next month, features a mix of corny jokes, gardening tips, nostalgia and home remedies, like feeding carrots to dogs to help with bad breath and using mashed bananas to soothe dry, cracked skin in the winter. Also in this year’s edition, editor Peter Geiger is leading a campaign to get people to ditch the penny, like Canada is doing. Past campaigns have focused on moving Thanksgiving to harvest time in October, reconsidering “The Star-Spangled Banner” as the national anthem and changing the color of money. This time, Peter Geiger thinks he has a winner. “They don’t get used very much. They get tossed. The only real use of a penny is if you save tens of thousands of them, then you can use them to help someone,” Peter Geiger said.